The DS28E01-100 combines 1024 bits of EEPROM with challenge-and-response authentication security implemented with the ISO/IEC 10118-3 Secure Hash Algorithm (SHA-1). The 1024-bit EEPROM array is configured as four pages of 256 bits with a 64-bit scratchpad to perform write operations. All memory pages can be write protected, and one page can be put in EPROM-emulation mode, where bits can only be changed from a 1 to a 0 state. Each DS28E01-100 has its own guaranteed unique 64-bit ROM registration number that is factory lasered into the chip. 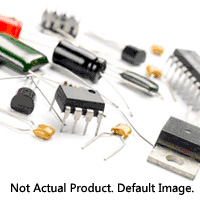 The DS28E01- 100 communicates over the single-contact 1-Wire® bus. The communication follows the standard 1-Wire protocol with the registration number acting as the node address in the case of a multidevice 1-Wire network. DS28E01P-100+ New and Original in the stock, Welcome to send the request to us! LINGCHENG makes your dream comes true.